The house was built by brothers, and restored by brothers. 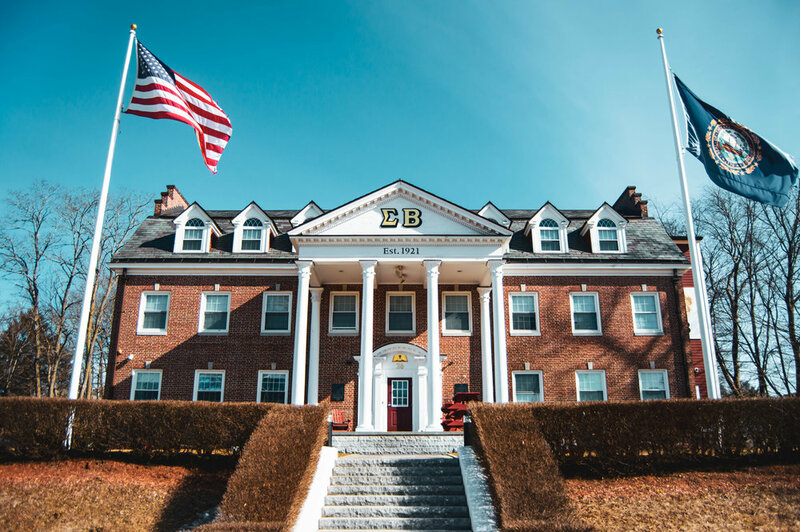 In 2009, Brother Tom Moutlon’s DeNiro Construction company gutted the house down to the studs and rebuilt the house into the most modern fraternity house in New England. 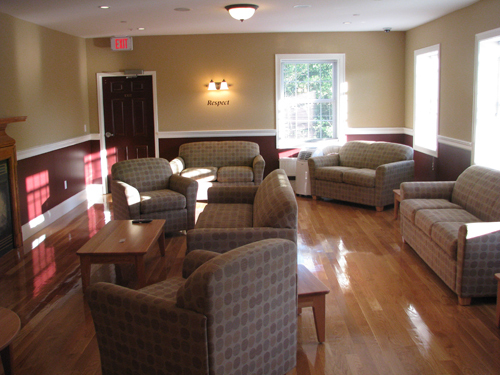 There are 19 rooms available for active brothers to live in. There are common rooms for hanging out like the basement with the Ping-Pong table, and there are common areas dedicated to studying (the Peter Lino Barili Chapter Room). There are also two washers and dryers for the brothers. The Kitchen comes fully stocked with all the dishes, utensils, stove and oven tops necessary for cooking. On any regular day, you can find brothers cooking up meals that even Gordon Ramsey would be proud of! 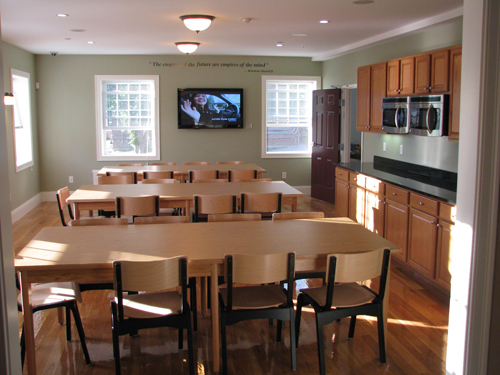 Our chapter room is the study room of the house, where it is expected to be quiet for brothers to do homework. Occasionally, the TV in the chapter room is used for movies or big sports games. There are 19 private rooms that are either for one, two, three or four people. 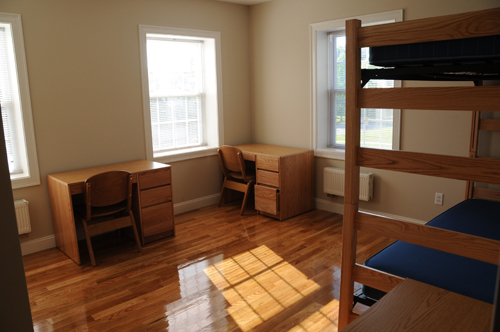 Each room comes with desks, a bed and a closet. A total of 41 brothers live in the house at maximum capacity. Our front lawn also includes a sand volleyball court. There are always brothers that are playing volleyball outside on a nice day.